Ultra Analog VA-1, Virtual Modular Synth from Applied Acoustics Systems. TreDay's review"A Virtual Analog workhorse!" Ultra Analog VA-1's installation and setup process uses a standard challenge and response registration system. 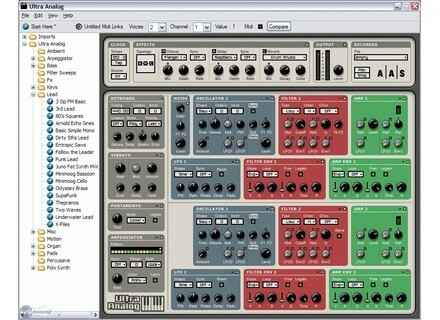 Once you start to use it, the user interface is immediately familiar if you've ever used a Virtual Analog synthesizer. Everything is on one panel, there's no complex routing, and everything has very clearly labeled knobs. The manual also explains the functions well, should you need to reference something. The plugin is a little old at this point so the interface is actually a little too small for use on modern high resolution displays and that's definitely a concern for those with impaired vision. I've used VA-1 regularly in my productions since I purchased it several years ago and I've encountered no instability or performance issues. It has both a 32-bit and 64-bit version and has loaded fine in all of my hosts: Renoise, Reaper, and Maschine. The performance is admirable. On my Intel i5 2500k @ 4.5ghz, 8 instances of VA-1 running an arpeggiated patch with the built-in delay and reverb effects enabled only uses about 12% of CPU combined. It's a standard two-oscillator setup with two filters, two filter envelopes, two LFOs that can manipulate a number of parameters, and two amplitude sections as well as chorus, delay, and reverb effects. The built-in effects don't offer a ton of options, but they're still decent. Both oscillators have your standard virtual analog waveforms as well as a sub-oscillator. As I mentioned before, the interface is immediately familiar and this is one of the best parts about it. There's only one page, all of the oscillator, LFO, envelope, etc. sections are placed from left-to-right as you'd expect. Compared to some more complex plug-ins, Ultra Analog is almost comforting, especially when you're just trying to whip up an analog-ish organ or brass sound and you don't need the insane routing or multi-stage envelope generators from something like Massive or Rapture. The sound quality of Ultra Analog is pretty solid, even for such an old plug-in. It's not trying to emulate any particular hardware synth, but rather just the style of analog in general. It doesn't capture some of the sonic quirks that add so much to real analog, but it is more than capable of delivering decent virtual analog sounds. It can give you your warm, lush pads and also searing hard sync solo leads, but it doesn't really have a standout sonic "character" to set it apart from the many other Virtual Analog synths. The factory preset library is decently diverse and shows a lot of the sounds you can coax from this relatively straightforward synth. One caveat to this review is that Ultra Analog VA-1 has been superseded by VA-2 which adds a few new effects and changes the interface to a more modern, paged setup. So far as I've heard, the synthesis engine hasn't had any noticeable changes, so that should be what you'd consider if you're interested in purchasing this plug-in. The price for VA-1 used to be drastically cheaper than it is now before AAS released VA-2. VA-1 is currently the same price as VA-2 at the few stores that seem to still sell it, so I can't recommend purchasing this over VA-2, which has the same synthesis engine but with some new features and an overhauled interface. So that said, VA-2 should be a consideration if you're in the market for a virtual analog-styled synth, especially if CPU usage is a concern for you. It's also worth noting that this is more-or-less the same as Ableton Live's Analog, so if you have Ableton Live Suite, you don't really need this. - Though the interface is laid out well, it is not sized appropriately for modern computer displays. Bass: For presets go your way! is more than average. Many plugs in this free Exceeds quality. Now working all this, there must be a way. But it is flat! Effects: it's funny, more and more sounds j'coute "Korg" this plug. 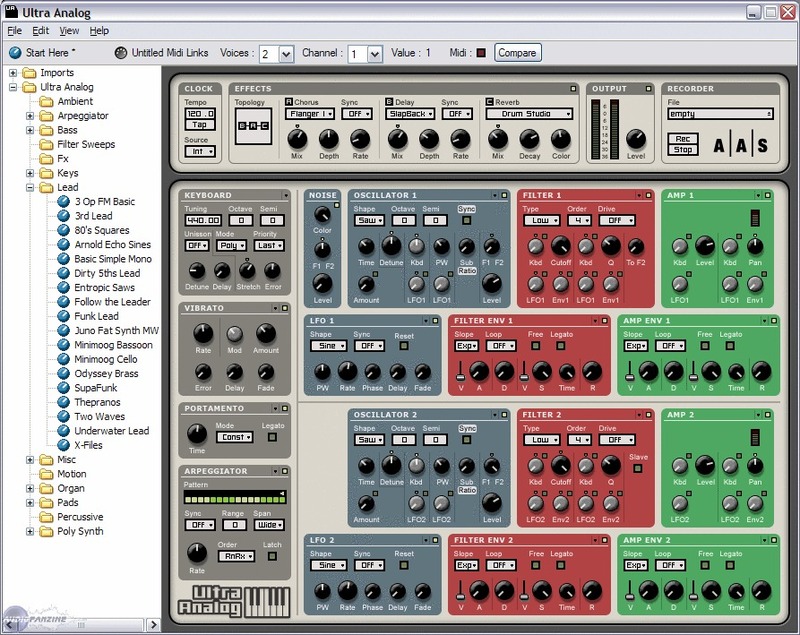 The effects are nice but a microKORG can reproduce most of the presets "EFX" with only two CSOs. Keys: blah blah ... if there were no effects, nothing will remain ... the choice is low. AAC n'tait not inspired on that part! Take a Pro-53 will be better! Leads: what about ... it's not bad but again, you enlves effects and lots of water presets fall. Orchestral: good potential, but why on earth a dozen presets! snif! Pads, and some nice pads. But nothing is changing other VST on this sector. It is not "bluffquot;! Rhythms: The ide is good but a little Intgr sequencer would have to use the beast by transforming it into small Microtronic! Vocal: 5 presets? AAC not inhale either yet there were things to do! I am more than lukewarm about this product (given the price: 159 March 2008). Of course one can criticize my criticism (and a state of the premises). It is not complete. This type of product that MRIT working on it to get (probably) most of it. 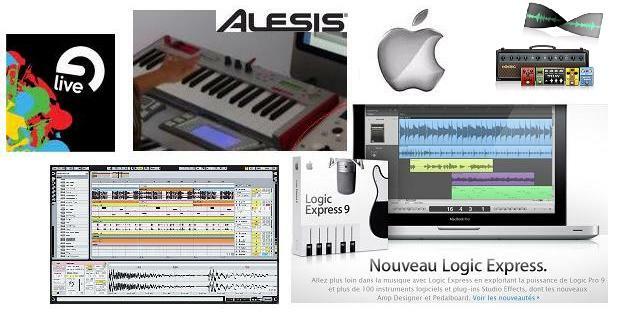 Being also the gnration "hardware", many synths taient often on offer with presets trs means. Now my criticism is positioning itself to someone who had other plugs and buying this app share in FDI in first to use the presets on offer (and often of good quality especially in the VST or G-Media Native Instruments). neomad's review (This content has been automatically translated from French)" Incredible ... VA the best soft ..."
Superb facility, 3 minutes, and it sounds. 18 months. Impressive library of presets, easy ultra edition (you have to know a little subtraction ... of course) ... arpeggiator, nothing missing, everything is all! ILIO Entertainments, Applied Acoustic Systems and audioMIDI.com have teamed up to offer AAS Ultra Analog at just $15.00 (instead of the regular $199).